Probably, many of us consider an invention as a ground-breaking achievement, while an innovation is ‘just’ an improvement of something existing. But, if you really think about it, what makes your working day safer and more convenient? Is it the ground-breaking inventions or the small innovations? Once, when carts were motorised, the game of transportation changed forever. The invention of the combustion engine, together with a following range of innovative improvements, eventually made it useful for propelling a waggon. And the rest is vehicle development history. Also, the invention of the computer, together with its innovative applications, turned transportation into an intricate game of communication, timings and logistics. Today’s efficient transportation of goods and passengers – and rescue operations – are the result of a long chain of innovative development of great inventions. In our everyday work, we enjoy and rely on a plethora of features for convenience, efficiency and safety without being aware of the inventors behind them. And that’s fine, because why should we bother? Well, maybe as a tribute to those who actually improve our everyday lives. Serendipity or hard working dedication? Some great inventions are the result of a strike of luck. Like penicillin for example. Just by coincidence Alexander Fleming discovered what became antibiotics, eventually saving millions of human lives. But, most inventions are the result of hard, tireless work year in year out. Some innovations are made just because someone gets an idea that is possible to realise. But, if no one benefits from that innovation, there will be no demand, and sooner or later it will be forgotten. That’s why there are millions of patents that never was realised into real products. On the other hand, many innovations result from an actual need or problem. Spinning wheels on slippery icy roads is one such problem. Since the birth of the motorised car, numerous attempts have been made to solve that problem. The ground-breaking invention of vulcanised rubber, by Mr Charles Goodyear, in 1839, was a giant leap for vehicle tyres. Tyres and rubber were then subject to numerous innovations for improving road grip, of which the studded tyre was one. Many attempts were made – and failed – to stud tyres before the studded tyre was introduced in the early 1960s. A great invention had been improved by a series of innovations that eventually increased traction on icy roads. However, the studs are fixed to the tyre whether you need them or not. All in all, studded tyres are not ideal. When roads are dry, the studs will still make noise and cause wear and damage to the road surface. It’s the price to pay for having them ready when really needed. But, an ideal solution should solve a problem without major drawbacks when the problem doesn’t occur. ‘Traction, but only when needed’ has challenged many aspiring inventors in the past. Conventional snow chains and sand spreaders are some solutions. However effective, they still have a drawback: handling is tiresome. And, that’s one of the reasons why Onspot automatic snow chains are such a great innovation – traction by pressing a button is sheer convenience! Onspot automatic snow chains are the result of Swedish inventor Mr Göran Törnebäck’s tireless efforts to make an actuator and a chain wheel play together. He was the first to succeed. Thanks to his achievement professional drivers of today can benefit from traction and safety when needed, just by pressing a button. With more than 150,000 Onspots sold, Mr Törnebäck has proven that drivers and fleet managers around the world really appreciate that convenience. Daniel has 10 years with Onspot Automatic Snow Chains, as the project manager engineering in Vänersborg, Sweden. Daniel earned a degree in Design Engineering from the University of Skövde, Sweden. 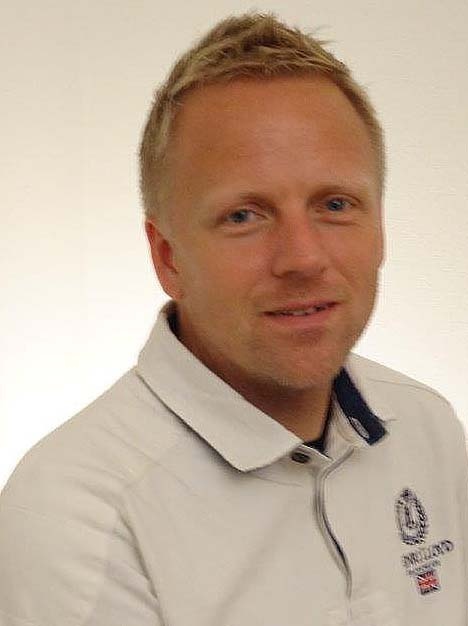 Daniel enjoys spending time with his family and you can find him training his adapters at Bohuslän Taekwon-Do Club. If you are lucky you may also see him practicing long-distance running.